Dilution can be caused due to a number of dilutive securities such as stock optionsStock OptionA stock option is a contract between two parties which gives the buyer the right to buy or sell underlying stocks at a predetermined price and within a specified time period. A seller of the stock option is called an option writer, restricted and performance stock units, preferred stockCost of Preferred StockThe cost of preferred stock to the company is effectively the price it pays in return for the income it gets from issuing and selling the stock. 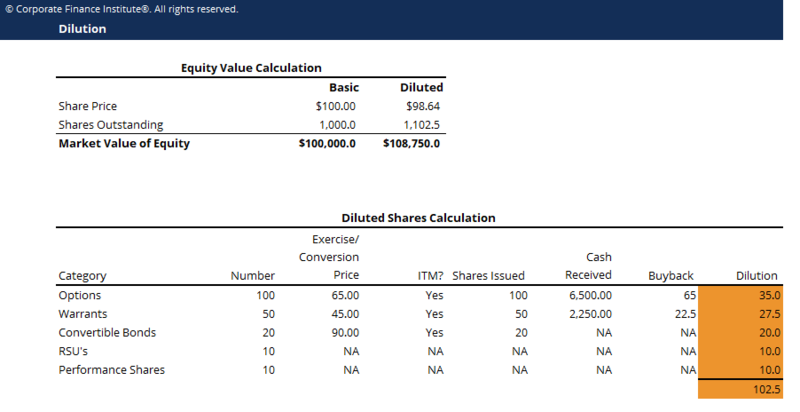 Download the free calculator template to determine the cost of preferred stock based on the company's preferred dividend payment, share price, warrants, and convertible debtCost of DebtThe cost of debt is the return that a company provides to its debtholders and creditors. Cost of debt is used in WACC calculations for valuation analysis. Learn the formula and methods to calculate cost of debt for a company based on yield to maturity, tax rates, credit ratings, interest rates, coupons, and. Dilution may cause the share price to decline because dilution reduces the company’s earnings per share (EPS). The extent of decline depends on the percentage of dilution. Given basic shares outstanding, share price, and information of dilutive securities, we can calculate dilution using the treasury stock method, and use the diluted number of shares outstanding and the market capitalizationMarket CapitalizationMarket Capitalization (Market Cap) is the most recent market value of a company’s outstanding shares. 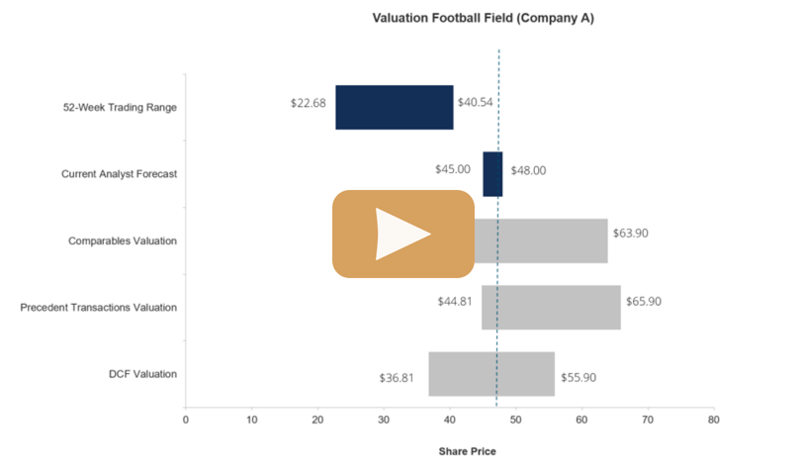 Market Cap is equal to the current share price multiplied by the number of shares outstanding. The investing community often uses the market capitalization value to rank companies of the company to calculate its new share price. The treasury stock method assumes that all of the money securities are converted into additional shares and proceeds from these additional shares are used to repurchase the company’s shares. A security is considered in the money if its exercise price is below the market price. Since these securities are converted into additional shares at a price less than the market price of the company’s shares, fewer shares can be repurchased from the proceeds of the conversion. As a result, there is a dilutive effect. If the securities are not in the money, there will be no dilution. For more detailed information on how to deal with different dilutive securities, refer to CFI’s market value of equity/calculation of diluted equity value guide. The new share price of the company will be lower than its share price before dilution. The reason for this is that the market capitalization of the company is divided by a greater number of shares. Dilutive securities cause the EPS of a company to decline. The markets factor this in, and the result is a decrease in the company’s share price.